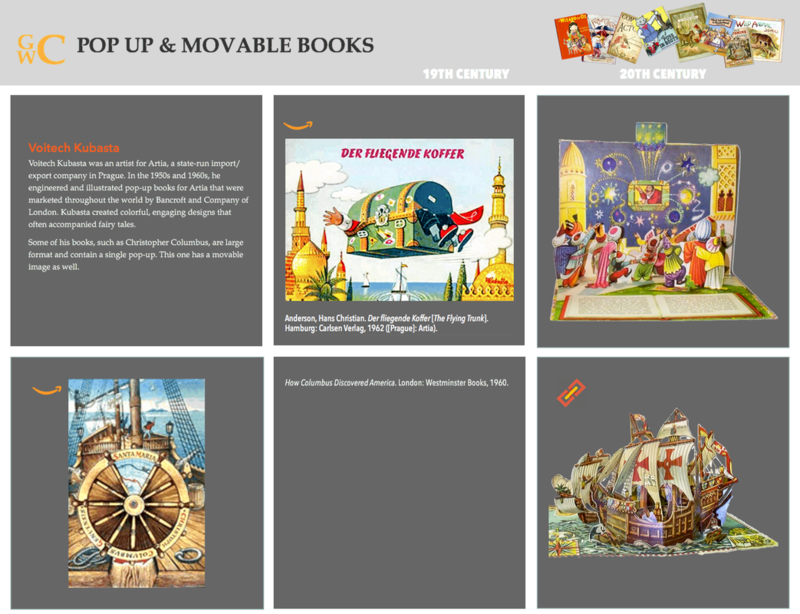 Using Adobe Muse, I improved Movable and Pop Up Books, a website of the University of Texas. 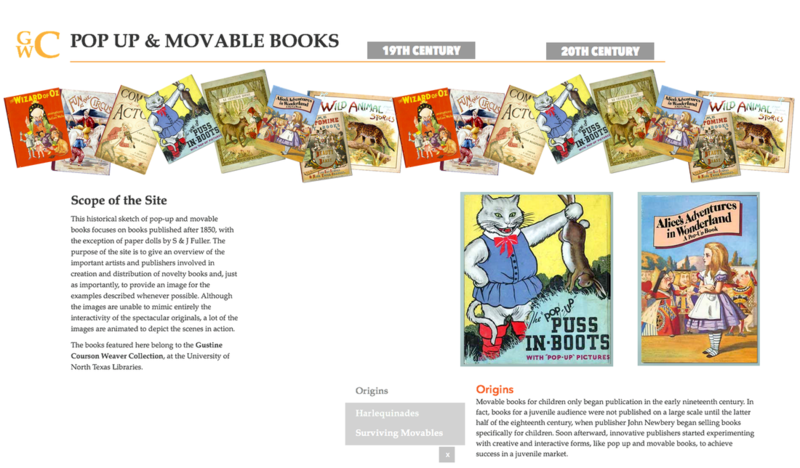 This Home Page prototype contains a tab menu to some of the topic's background and links to two centuries of such children's books. Using the original text and images, I improved the presentation, usability and general appearance of the site. 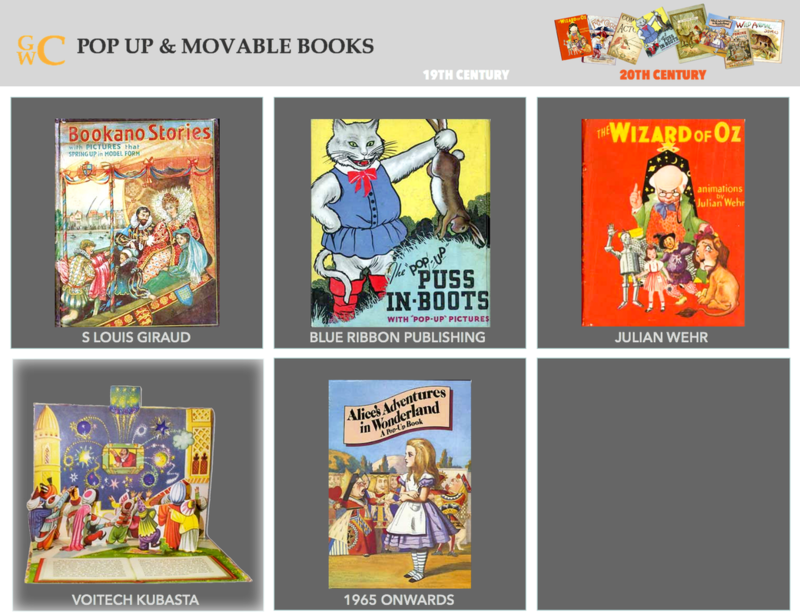 I decided Card Navigation would work well for this website, using the book covers as links to their authors. 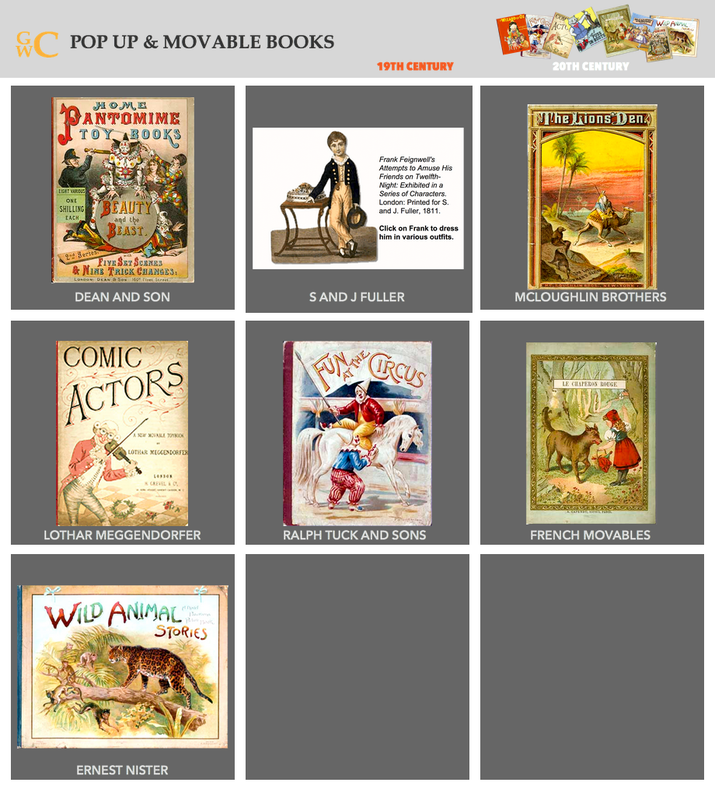 I followed the chronological order of the publications in the layout and organized them further by century: one webpage for the 19th Century and another for the 20th. See the top-right menus, below. The website I drew the data from provided very low resolution images, so I enhanced many with Photoshop. I built out one influential author, Voitech Kubasta. 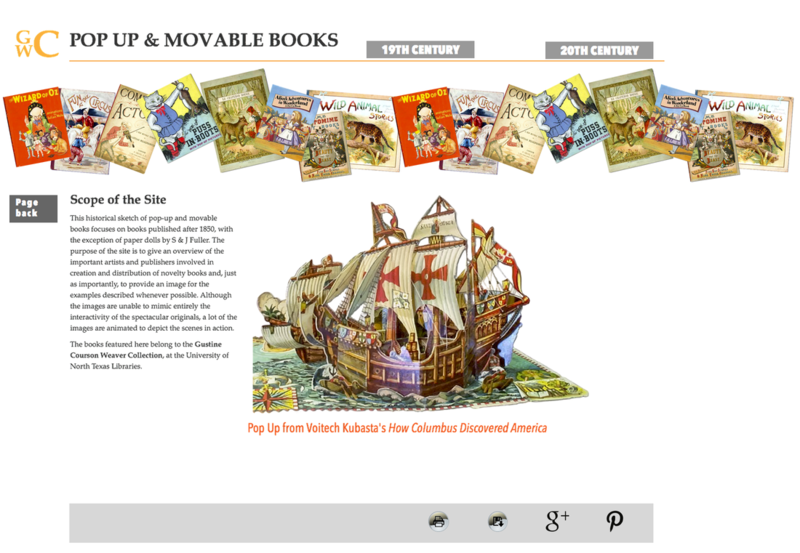 The images on the left and right below demonstrate alternating moving states for the Flying Trunk and the Ship's wheel by manipulating the book, usually by pulling a tab. On the website, this is accomplished by mousing over on a computer screen or swiping on a mobile device. The Flying Trunk images had yellowed spots, presumably on the original, old book, so I used Photoshop to remove those. Now the sky is clear blue. On my Website, the Card for the Ship links to a large Pop Up page in the Book. The title, top left, always leads back to Home, and Page Back, below, returns to the main Kubasta screen.